It is 21:40 and the station signal at the north end of Tikkurila is showing a conditional proceed slowly aspect (at 35kph). In cab ATC may permit a higher speed, but not more than 80 kph. The lower signal is in effect a distant and indicates that the next main signal will show a straightforwrad proceed aspect. 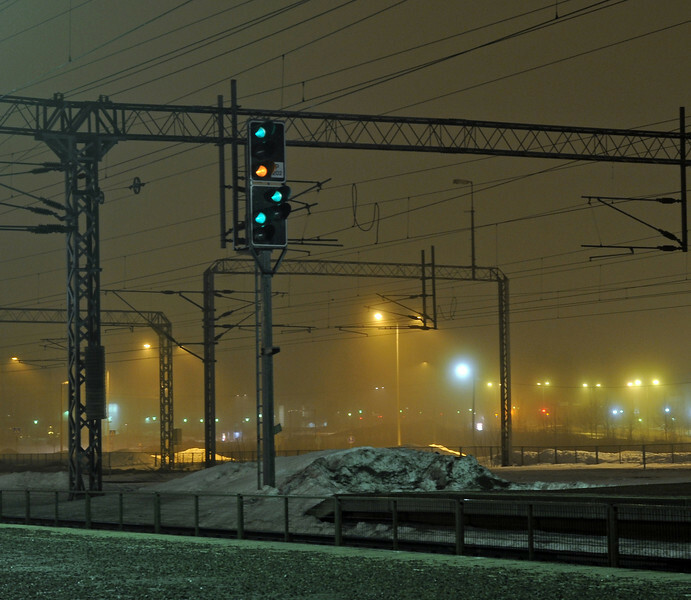 The signal is off for the arrival of train 269, the Aurora Borealis Express, from Helsinki to Kolari in Lapland, a journey of about 1000 kms.